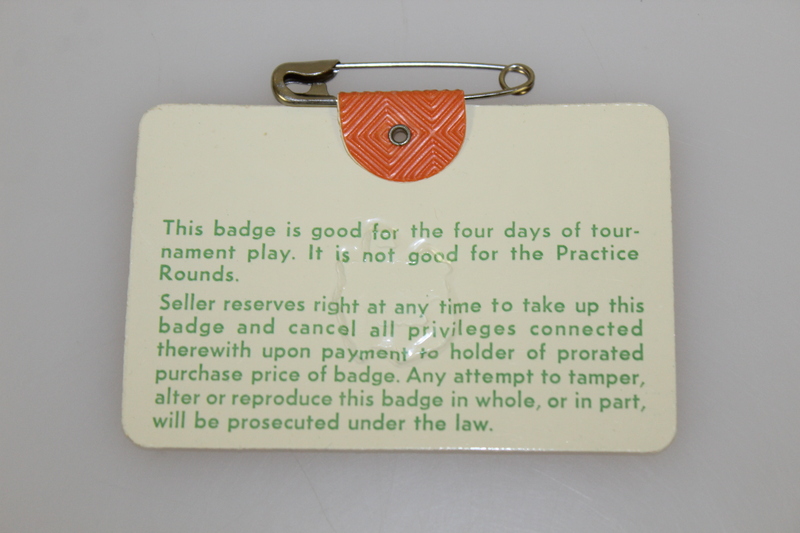 Offered here for bidders is 1977 Masters Tournament series badge #24427. It comes in great condition with the original pin intact. 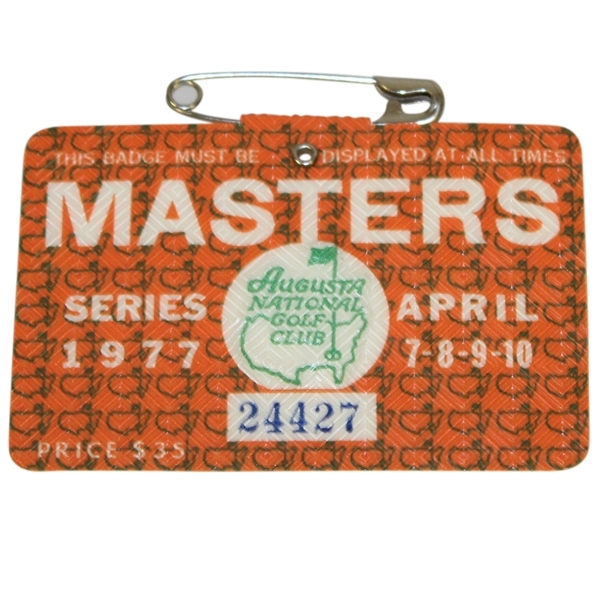 The 1977 Masters may have been a change in the reigns in the golf world from the great Jack Nicklaus to Tom Watson, who quickly rose to No. 1 in the World and formed quite the rivalry with the Golden Bear.